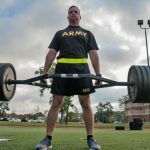 MARCH 22, 2019 – Since 1858, the U.S. Army has maintained fundamental physical fitness standard for Soldiers. Over the years, with multiple revisions, and changes, the importance of physical fitness is a benchmark to gauge the readiness of the force. 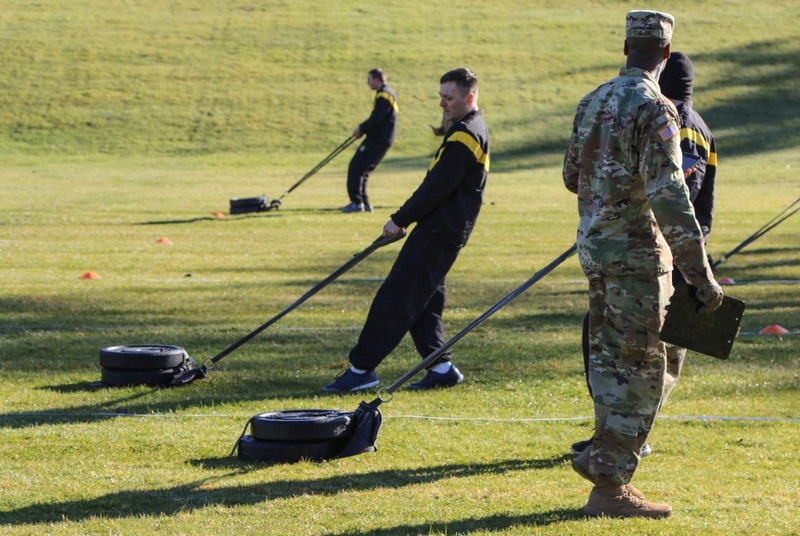 To prepare 21st Century Soldiers for challenges on the battlefield, the U.S. Army is in the field testing phase of the new Army Combat Fitness Test. The Oregon Army National Guard’s 741st Brigade Engineer Battalion (BEB), 41st Infantry Brigade Combat Team, is one of just 63 selected batallions taking part in the testing phase. The participants are made up of all three U.S. Army components: Regular Army, the Army Reserve and the Army National Guard. Three repetition maximum deadlift; deadlift the maximum weight of 140 to 340 pounds a total of three times. Standing power throw; requires a Soldier to throw a 10-pound medicine ball overhead and backwards for distance. Hand-release pushup; complete as many as possible in two minutes. Sprint-drag-carry; which includes a 50-yard sprint, 50-yard backward sled drag, 50-yard lateral shuffle, 50-yard kettlebell carry, and 50-yard sprint. Leg tuck; completing as many as possible in two minutes. Two-mile run; measured for time. The test is scored in three categories: black “heavy,” grey “significant,” and gold “moderate.” Scoring requirements are determined by the physical demands of the unit or the individual’s occupation, regardless of age or gender,” Gibson said. 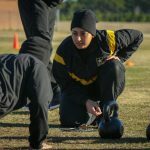 Unique to the ACFT, all graders must be certified in order to administer a test. 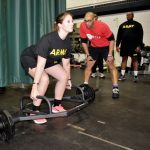 A mobile training team from the U.S. Army Physical Fitness School instructed a three-day grader certification course in December 2018. Seventy-four Oregon National Guard Soldiers, as well as 17 Soldiers from other states, completed the course to become certified graders. There are three levels of grader certification: grader, master grader, and master grader instructor. Capt. Raymond Jones, with 2nd Battalion, 641st Aviation Regiment, participated in the grader certification course. Normally scoring in the 285-295 range on the APFT. He said that he feels the new test is a solid measure of Soldier fitness and worth implementing. “I passed every event, but there are some things I need to work on. I need to work on the hand-release pushups and the standing power throw,” he said. In March, 219 Soldiers from the 741st BEB took the test for the first time. Despite the unusually cold conditions, the Soldiers were positive about starting the test. “It was a lot more rigorous and intensive. 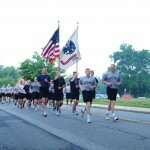 Everyone was a lot more exhausted compared to the old APFT,” said Spc. Aedan Stein, a combat engineer with the 741st BEB. Stein recommended cross-training or high intensity interval training to help prepare for the test. 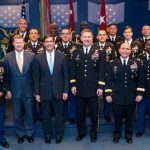 “The ACFT will definitely help prepare Soldiers for combat and all around readiness due to the extensive requirements,” said Stein. Many of the leadership team during the testing phase showed excitement about the new test and the benefits it brings for Soldier fitness and readiness. Ward said the battalion is scheduled to take another test in September to compare scores with the March testing. 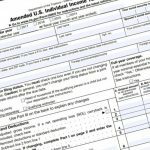 Once the field testing is complete the results will be sent to the National Guard Bureau to finalize the test standards. 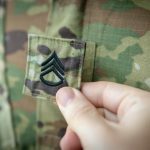 The ACFT is scheduled to become effective October 1, with all Soldiers taking the test by October 2020. Gibson said training is an important step in preparing for the test. Practice and technique go into all of the test events, but it is something we can achieve. “Let’s get after this challenge!” said Gibson.